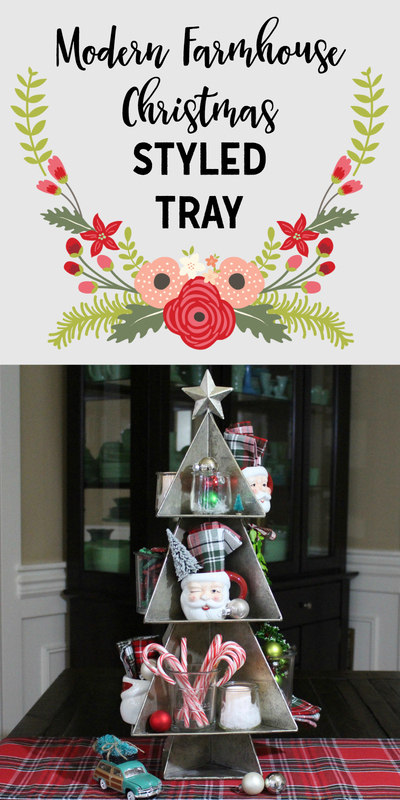 I think trays are probably the easiest, quickest and most fun thing you can do to add holiday cheer to your home– that’s why I created this Modern Farmhouse Christmas Styled Tray. Some of my favorite bloggers and I are sharing our ideas in a Modern Farmhouse Trays Blog Hop… you can click the links below. 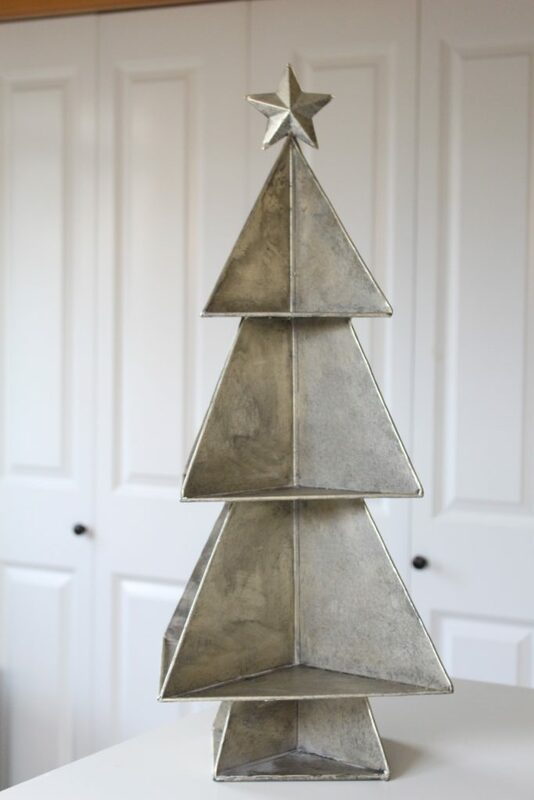 When it comes to holiday decor, I like to repurpose and recycle things I already have around my home. 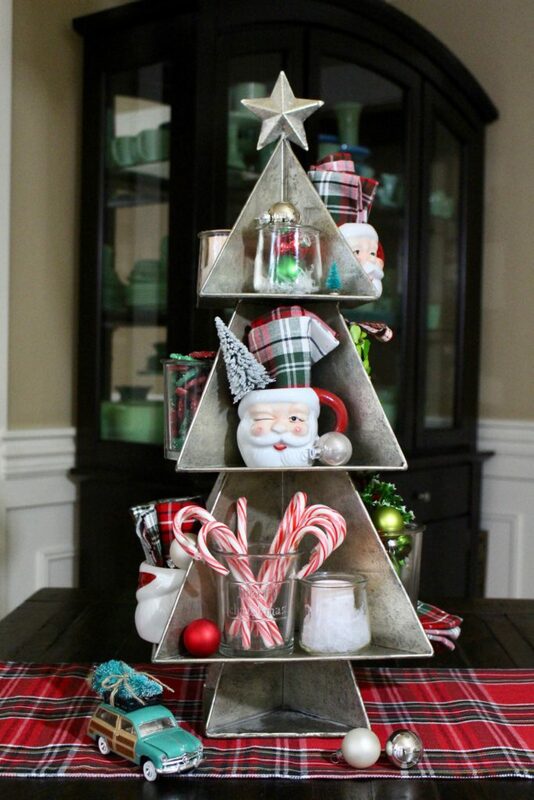 The Christmas Tree Tray is new though– I found it at Nordstrom in the Home department. 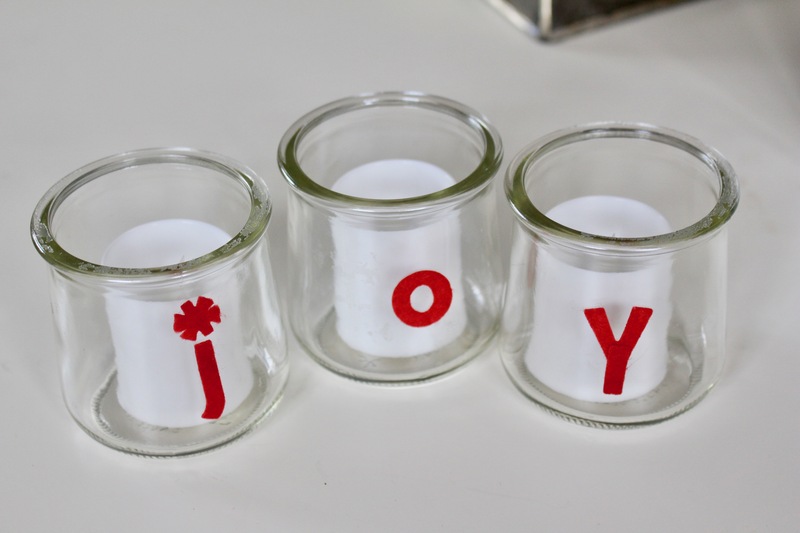 To create these glass votives, I saved the containers from my Yoplait Oui French Style Yogurt. 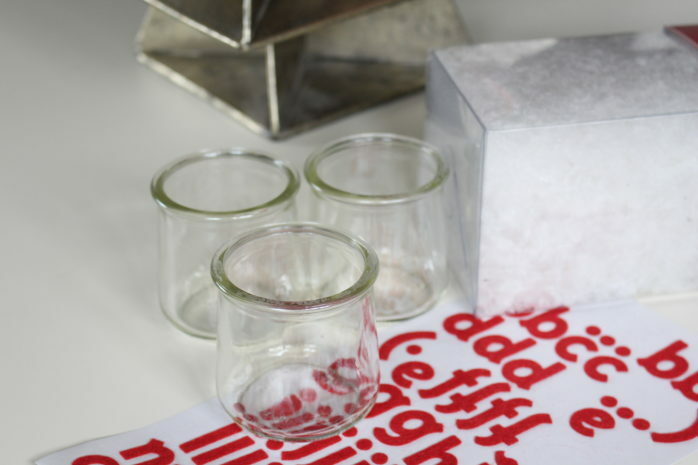 It comes in these little glass pots. To remove the label, I just soaked the container in water and it peeled right off. 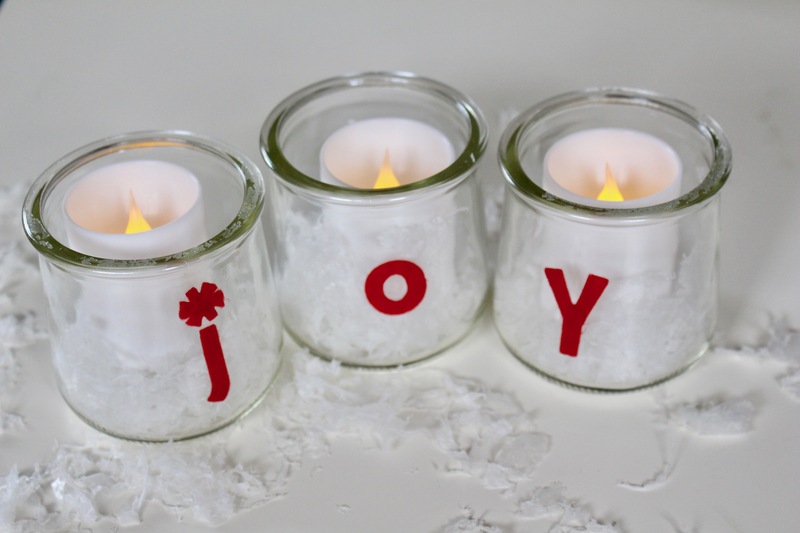 I also grabbed some letter stickers, faux snow and battery powered tea lights. I had to improvise a bit with my letters– I made a “Y” out of a small “V” and a small “I”… but that’s just part of the fun. Add a little faux snow and it they look like they’re full of Christmas cheer. 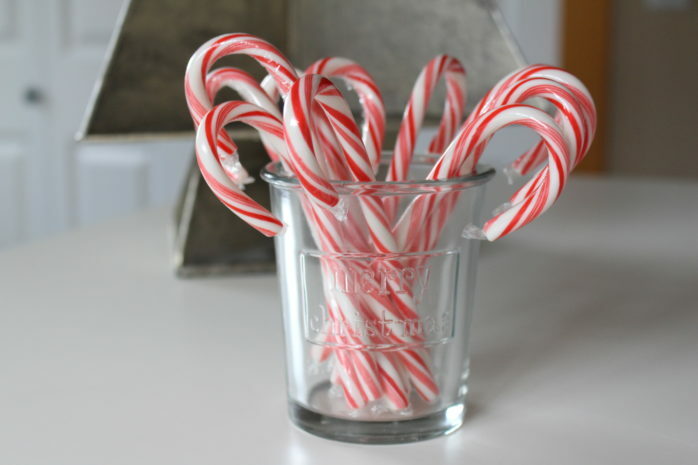 Candy canes are always the perfect addition to holiday decorating. This glass “Merry Christmas” cup is from Pottery Barn and at just $5, it’s a steal! 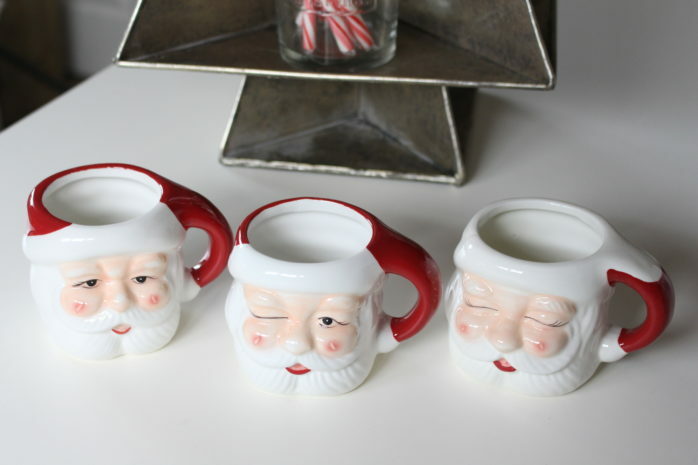 I love that these Santa mugs have different expressions! 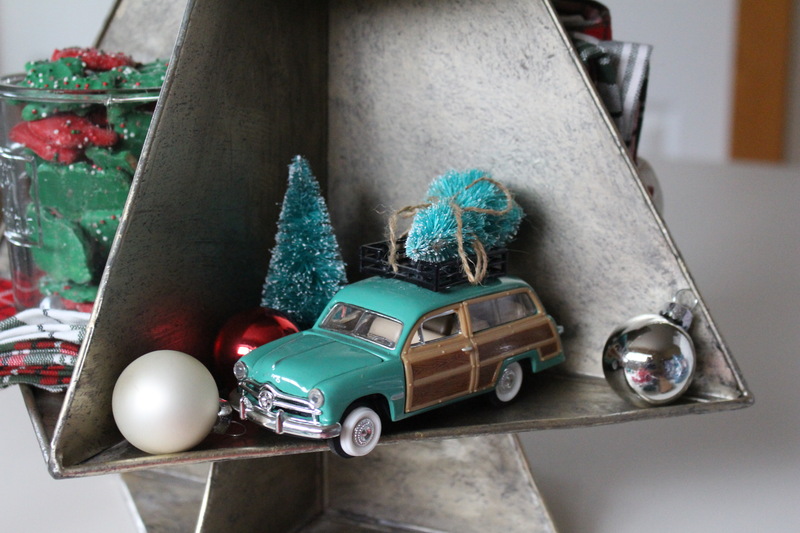 I also dug through my holiday stuff from years past… this car with a Christmas tree never goes out of style. 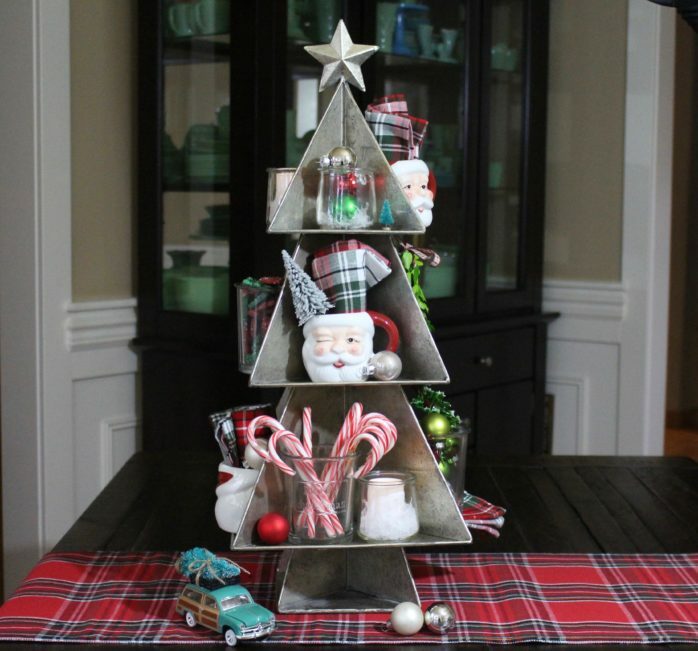 I tucked in a few plaid napkins and ornaments. You can’t go wrong with adding little details. I love my tray. Looking for more great ideas? Visit my friends for inspiration! Coolest tray I ever saw, Malia! Merry Christmas sweet friend! 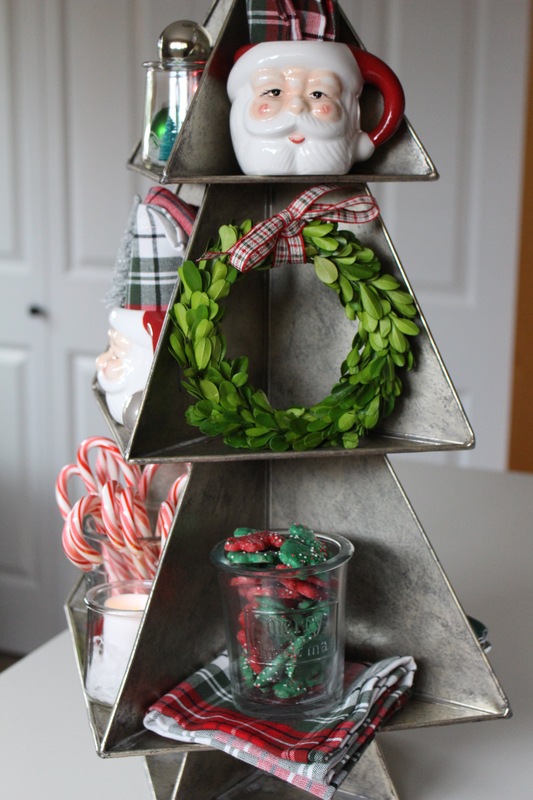 I so need one of these tiered trays! These are awesome!! Your tray is darling, Malia! I love all the little nooks and crannies filled with holiday cuteness. 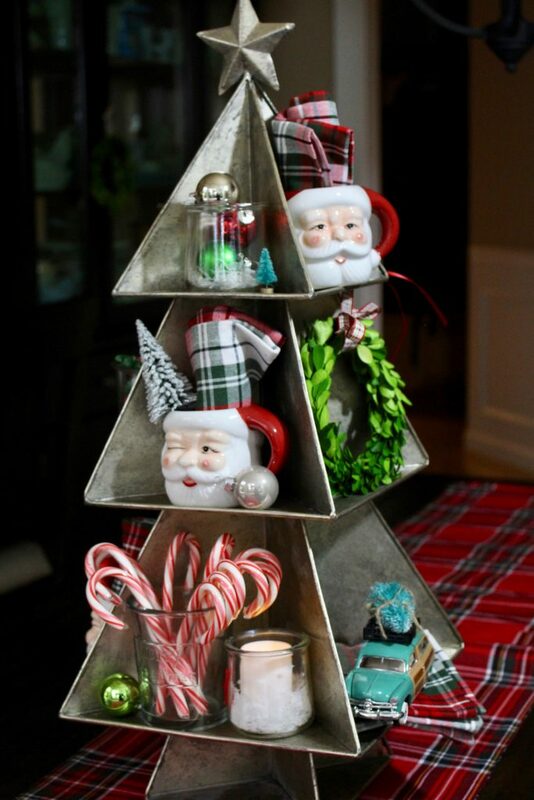 The Santa mugs are perfect and I really like what you did with your Oui pots. Adorable! Malia, your Christmas tree tray is over-the-top CUTE!!! I want one!! 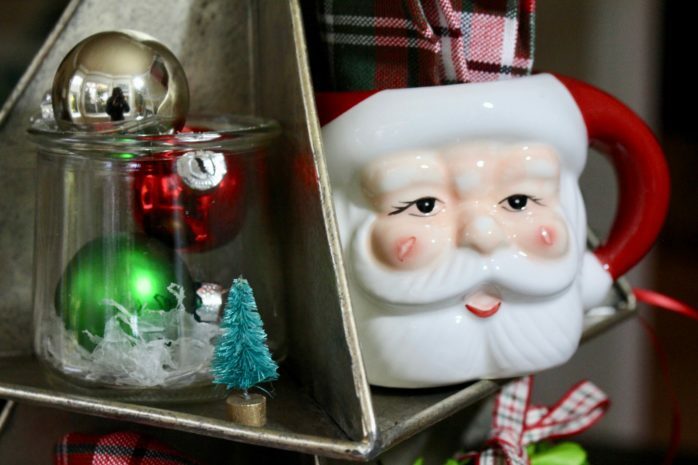 ;) Seriously, all your additions from the sweet Santa mugs to the Oui pots are so very fun!! Wishing you and yours a very blessed season of Hanukkah and Christmas! Oh my gosh Malia, I love that tray! You did a fabulous job of decorating it, too. So festive and fun! Pinning! Those Santa mugs and that car!!! Pinning. I absolutely love that tray and it’s three display sides! Merry Christmas!